Origins: The Birth and Rise of Chinese American Communities in Los Angeles, a permanent, cutting edge exhibition celebrating the growth and development of Chinese American enclaves from Downtown Los Angeles to the San Gabriel Valley. This exhibit narrates Chinese immigration to the United States with an emphasis on community settlement in Los Angeles. The display is outlined into four distinct time periods. Each period is defined by an important immigration law and event, accompanied by a brief description and a short personal story about a local Chinese American and their experiences in that particular historical period. This exhibition is a recreation of an actual store that was housed in the Garnier Building in the 1890’s. The Sun Wing Wo store opened in 1891 and remained in this building until 1948. The store was a multi-purpose space that showed how self-sufficient the Chinese were and had to be due to racism and discrimination, while also being responsive to the needs of their community. Even though the store predominantly served the Chinese, there were European, Japanese, and Mexican Americans who also came to purchase Chinese merchandise. On one side of the gallery, people can find merchandise sold at the general store such as food, clothing, furniture, firecrackers, and dishes; they can also find western products that were popular at the time such as cigars and perfumed soaps. The store also provided banking, postal, and letter writing services for the community. On the other side of the gallery, the Museum recreated the herb shop where Chinese could practice their traditional form of healthcare – Chinese Medicine. There were acupuncture services and prescriptions of herbal remedies provided. Wu Chi-Tsung, 水晶城市系列 CRYSTAL CITY SERIES, 2015, acrylic, light, and kinetic motor, courtesy of the artist. 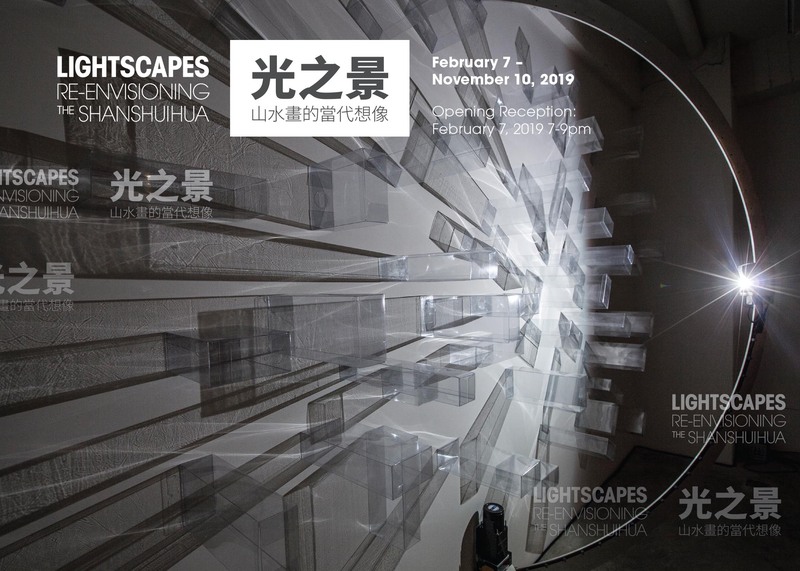 Lightscapes: Re-envisioning the Shanshuihua 光之景: 山水畫的當代想像 presents works from Nick Dong and Wu Chi-Tsung, two Taiwan-born contemporary artists. Re-imagining the philosophies of Chinese landscape paintings, the exhibition brings forward new media works and immersive light-based installations that are not often explored within this genre. 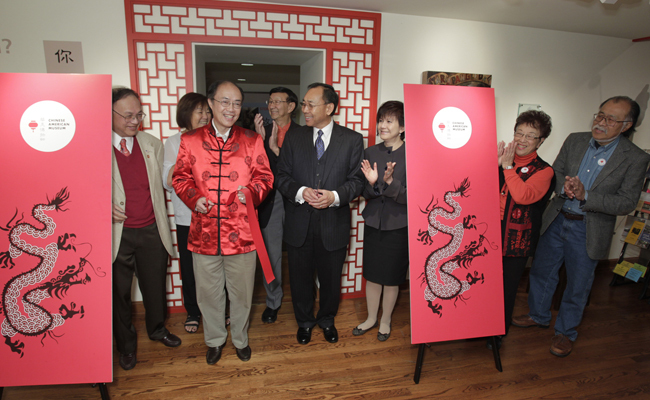 This exhibition is organized by the Chinese American Museum in partnership with the Ministry of Culture, Republic of China (Taiwan) and the Taiwan Academy in Los Angeles. 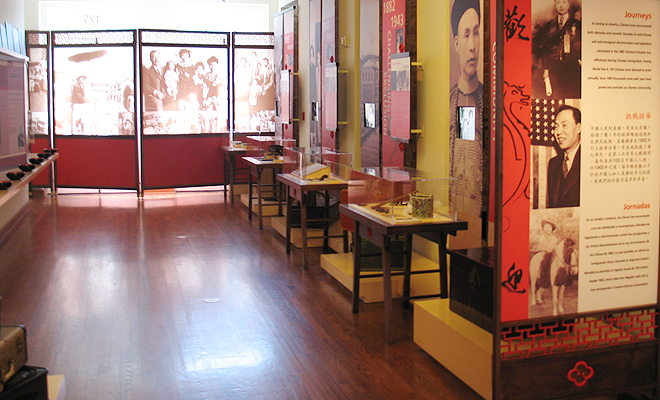 Major support for this exhibition is provided by the Friends of the Chinese American Museum and El Pueblo de Los Angeles Historical Monument. Share your photos and experience with us at #lightscapes.